New vehicle pricing includes all offers and incentives. Tax, Title and Tags not included in vehicle prices shown and must be paid by the purchaser. While great effort is made to ensure the accuracy of the information on this site, errors do occur so please verify information with a customer service rep. This is easily done by calling us at 318-716-7348 or by visiting us at the dealership. 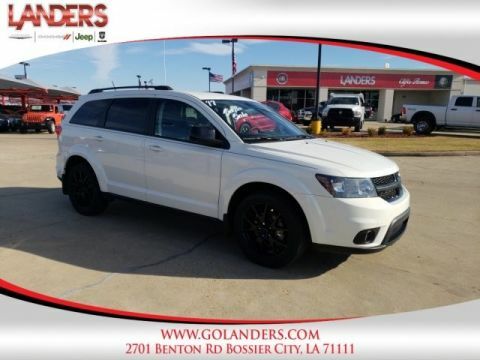 When it comes to high quality, competitively priced used cars in Bossier City and Shreveport Louisiana , Landers Dodge Chrysler Jeep and Landers FIAT is your destination! Stop by our all new Pre-owned Super Center! We have hundreds of certified pre-owned vehicles available for the entire Ark-La-Tex area! We have over 8 States of inventory at our finger tips, whether it's a high-line luxury model or a compact hybrid. If we don't have it, we can get it! Get a used car in Shreveport or Bossier City Louisiana that has been through a detailed inspection by our auto technicians and will run like new for many years to come. 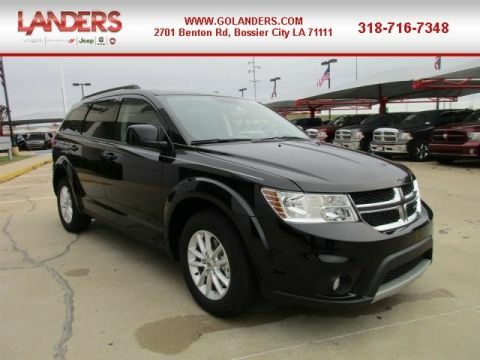 If you are looking for a used Dodge, Chrysler, Jeep, Ram, FIAT or ANY make or model in Bossier City or Shreveport Louisiana or the surrounding area and need assistance, complete our no-obligation Car Finder form and we will track down the used car you are interested in! Only the CARFAX Buyback Guarantee can offer you the comfort of knowing you made the right purchase. If you are looking for a vehicle with great styling, options and incredible fuel economy, look no further than this quality automobile. This is the one. Just what you've been looking for. More information about the 2015 Dodge Charger: The Dodge Charger is a full-size sedan, offering strong V6 and V8 engines, along with rear-wheel drive or all-wheel drive on select V6 models. Chrysler claims that the Charger's all-wheel-drive system is the most advanced system offered in its class, as it completely disconnects the front wheels when not needed. Styling has always been a big part of the Charger's appeal, and while it relied on a retro-muscle look for years, a complete redesign gives it a much more look while still setting it apart from the crowd. Charger SE and SXT V6 models return a best-in-class 31 mpg on the highway, while performance-oriented R/T and SRT models are phenomenally athletic. On another level is the Hellcat; the car rivals most supercars, with 0?60mph coming in just 3.7 seconds and a top speed of 204 mph. This model sets itself apart with good gas mileage for V6 models, Fresh design, modern safety features, available all-wheel drive, supercar performance from SRT Hellcat, and wide range of models At Landers Dodge Chrysler Jeep in Bossier City and Landers FIAT in Shreveport we strive to maintain a huge selection of used cars by today's top auto manufacturers. Landers Dodge Chrysler Jeep RAM is ready to help you purchase your new Chrysler, Dodge, Jeep, RAM in Shreveport or Bossier City, Louisiana. When you visit our car dealership expect the superior customer service that you deserve. With years of experience and training, the Landers Dodge Chrysler Jeep RAM team will get you into the car that was built for you in the Marshall or Mansfield area. Get the new or used car by Dodge, Chrysler, Jeep or Ram in Bossier City, Louisiana that you have been dreaming of by calling or visiting Landers Dodge Chrysler Jeep RAM today. Landers Dodge Chrysler Jeep RAM	32.5558399, -93.7267698.